In the past few months, fresh technology once the reserve of expensive premium cars has made a final cascade to one of the most affordable classes – light hatchbacks. The ‘cascade effect’ is nothing new in the automotive industry, where advanced equipment starts only in the priciest cars and eventually filters down into cheaper models as years go by. In the case of the all-new Mazda 2, our country gets access even before Europe to features never seen before in light hatchbacks, simply because the brand’s home base in Hiroshima accelerated the launch here of its third-generation little car due to its popularity. The flagship 2 Genki automatic gets a standard head-up display that is a class-exclusive, and optional automatic braking (between 4km/h and 30km/h). 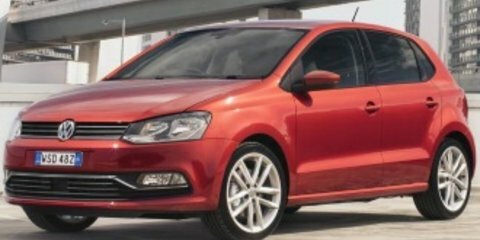 But it has to contend with a facelifted Volkswagen Polo, which in 81TSI form is available with an optional package that incorporates low-speed auto braking in addition to adaptive cruise control that is yet another class first. It’s ironic, then, that both the 2 Genki and Polo 81TSI – the cars with newly available advanced equipment – also make a reverse-view camera optional when it is standard across the Honda Jazz and Toyota Yaris range and on the flagship of the regular Renault Clio line-up. 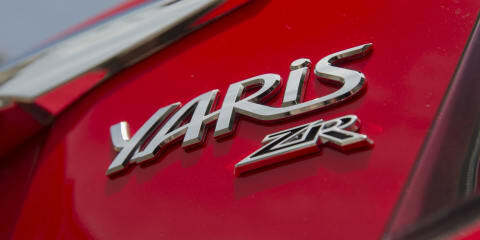 So while the Jazz VTi-L, Yaris ZR and Clio Dynamique lack big new technology, the trio even up their chances by making the basics standard. All five contenders are priced between $21-24K in automatic form, so for around the same price as a base model small car such as a Toyota Corolla or Mazda 3, this group are out to tempt you with extra equipment that compensate for their smaller size. We recently tested the $19K base-grade Polo and Jazz, and last year put the $21K middle-grade Clio, Kia Rio and Ford Fiesta (the latter of which was unavailable) against other competitors. So with fresh contenders now on board it’s time for the top-tier models to step right up. The least expensive car here – the $20,790 Volkswagen Polo 81TSI – also has the least amount of equipment, though the basics such as a colour touchscreen with Bluetooth phone and audio connectivity, alloy wheels, cruise control and power windows are included. Adding a $1500 Driving Comfort package as fitted to our test car does, however, boost its standing. The package adds a reverse-view camera, auto headlights and wipers, in addition to the climate control air-conditioning standard on all its rivals, and the auto-braking and adaptive cruise control that aren’t. At least rear parking sensors are standard in the Polo 81TSI, though it is the only car here without satellite navigation, which is unavailable. 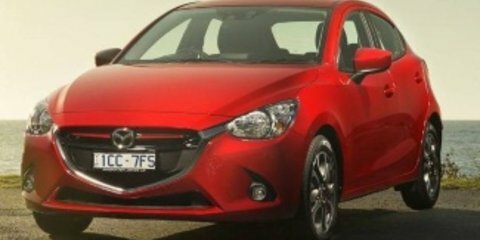 The $21,990 Mazda 2 Genki automatic – the next cheapest contender – asks an extra $399 for fitted rear sensors, $420 for a camera and $400 for auto braking. It leaves the Mazda $915 more expensive than the optioned Volkswagen and still lacking adaptive cruise, auto-dimming rear-view mirror, rear map lights and vanity mirror lights. The 2 Genki counters with 16-inch alloy wheels (in lieu of 15s), front foglights and nav plus internet apps connectivity. 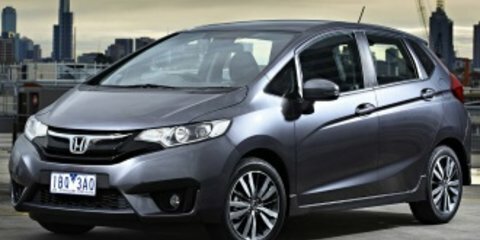 Then the $22,490 Honda Jazz VTi-L trumps every competitor here with class-exclusive leather trim with front seat heating. It also gets full LED projector headlights and rear sensors plus a camera, though the Thai-made hatchback lacks automatic on/off (or even just off) lights unlike its rivals, and its nav system has to run off your phone’s internet and slurps its data. Despite being more expensive, the $22,690 Toyota Yaris ZR steps back to offering cloth trim and 15-inch alloy wheels, and only a camera without sensors. The Toyota does, however, offer the group’s only driver’s knee airbag. The others offer dual front, front-side and full-length curtain protection, with the exception of the Renault that disappointingly lacks the latter. It is a decent step to the $23,790 Renault Clio Dynamique as well, though you do get 16-inch alloy wheels, rear sensors and a camera, and instead of leather trim it counters with keyless auto-entry – just leave the key in your pocket and the car will automatically unlock when you walk up to it and lock itself when you walk away. The Mazda 2 is the newest car here and its fresh interior design appears the funkiest. While the choice of materials lags behind the Clio and particularly the Polo, the use of padded leather across the dashboard and the way the climate controls rotate with slick precision marks a newfound maturity for the 2. The highlight is the MZD-Connect infotainment system, which is simple to access either via a rotary dial on the centre console flanked by shortcut buttons, or touchscreen if the car is at standstill. A high-resolution 7.0-inch centre screen displays navigation and audio functions that exclusively extend to internet apps connectivity such as Pandora, which works seamlessly. The Clio and Jazz have the same-sized screens, but each are only accessed via a touchscreen. The Renault’s optional ($990) R-Link infotainment system isn’t more intuitive to use than its similar standard system, with both sharing multiple layers of menus that can be frustrating to quickly navigate. Our test car also had a USB input glitch that meant it worked intermittently – making this the third Clio test car we’ve sampled with glitchy infotainment. Honda’s menus are even more layered, and its graphics decidedly low rent, while accessing navigation means linking your phone via an HDMI cable and downloading a specific Honda app. It is far less elegant and usable compared with the Mazda and Renault. The Toyota and Volkswagen may only have 6.0- and 5.0-inch touchscreens respectively, but both are superbly simple to use and reconnect to Bluetooth quickly. In fact, infotainment operation characterises the interior design of the Mazda 2’s rivals. The Renault Clio dashboard is the only one to rival the 2’s design flair, particularly when red is splashed over its bathmat-style rubber plastics, and it has the most customisation options of any car here. Particularly charming is the swoopy climate controls unique to the Dynamique that raise the interior a notch above lower grades. There is a higher degree of perceived quality and more storage options compared with the Mazda, but the Renault has the least number of cupholders (just two) when rivals offer at least double. Its chrome brightwork and coloured dashboard also reflects badly in sunlight. The Clio’s lovely, soft front seats rate second only to the supremely supportive buckets in the Yaris that are the highlight of its interior. Seat trim that seemingly pays homage to 1970s fashion – so, hipster-fashion, then – and a nuggety little steering wheel are other standouts, though our tallest tester found the driving position lacks ultimate adjustment. As plain as the Toyota’s interior is, it is highly functional, ergonomically spot-on, and the split glovebox adds to its surplus storage options. Front seats and storage are the areas it beats the otherwise equally functional Volkswagen Polo. While some testers prefer their light hatchback to be a bit more exhuberant in design, there’s no denying the high-quality feel and elegant detailing that marks the ‘mini Golf’ interior as the most rounded here. You sit higher up front compared with the Clio and Yaris, and on flatter and firmer pews that initially feel less welcoming. It’s when you start to use the trip computer controls, cruise controls and the like, that the Volkswagen feels a class above in the tactility of its buttons and its ergonomics. Move further back and the Polo smashes the ball down-field. Its tilted rear seat is the most supportive here, and it is the only contender to provide rear map reading lights and proper door grips. The others (except for the Jazz – we’ll come to that Tardis in a moment) have similar legroom, but the Mazda and Toyota have the equal least headroom; the noggin of this 178cm-tall tester just brushing the rooflining in each, while they are the only competitors lacking rear door pockets. The 2 Genki slips into last for rear comfort behind the Yaris ZR because its bench is set low enough to force a knees-up position for occupants – an important consideration if taller teens are riding back there. Just as the Mazda has lost some interior space with this latest generation, it’s also disappointing to see Toyota has ditched the innovative sliding rear seat that debuted on its 1999 Echo distant predecessor. That leaves the Renault with its door storage and nicely padded bench second behind the Volkswagen for comfort overall. For sheer interior space, though, the Honda Jazz is in its own galaxy. Despite being no longer than the others – at just under 4.0 metres tip to toe – the automotive equivalent of a bento box packs in plenty, or specifically to our tape measure double the rear legroom of its rivals. Rear riders exclusively score a centre armrest and door bottle holders, though the bench itself isn’t as comfy as that in the Polo and Clio. The front seats of the Jazz are also the least comfortable of the entire group, with a flat and tilted-forward base and leather that is slippery compared with the warm cloth of lower grades previously tested. Beyond clever storage that rivals the Yaris – including neat cupholders mounted above each side front air vent – the Honda has a conventional dashboard design, a reminder that what sparkles about this hatchback lies behind the front seats. Honda’s clever Magic Seat practicality has been unchanged in a decade, marking 10 years that it is unrivalled for intelligent use of space – you can flip the rear seat base up to essentially create another cargo area, or fold it flat into the floor to make the boot big enough to fit three mountain bikes in. The 350-litre boot is a full 50L larger than the Clio, the next most sizeable contender here, while the 286L Yaris (with split-floor, but no longer an innovative sliding rear bench), 280L Polo and 250L 2 are basically indistinguishable for aperture entry and overall size. All also get basic 60:40 split-fold rear seats and have space-saver spare tyres underfloor. Before we even turn a key it’s clear there are different philosophies at play here. Split philosophies are at work under the bonnets of these tiddlers in the same way they’re divided inside. The European duo utilise smaller-capacity (both 1.2-litre) engines with high-tech turbocharging to power their light hatchbacks, while the remaining Japanese cohort use traditional non-turbocharged engines of larger 1.5-litre capacity. There’s little difference in the power figures that accelerate your light hatchback up to speed – 80kW for Yaris, 81kW for Mazda 2 and Polo, 88kW for Jazz and Clio. Drive each of them onto a set of scales and they will all wind the needle to about the same place, though the Toyota (1055kg) and Mazda (1058kg) put around 50kg less stress on them than the Renault (1104kg), Honda (1130kg) and Volkswagen (1151kg). But the heavier cars each have tricks up their sleeves, where the lighter cars prefer to get the job done with simplicity. 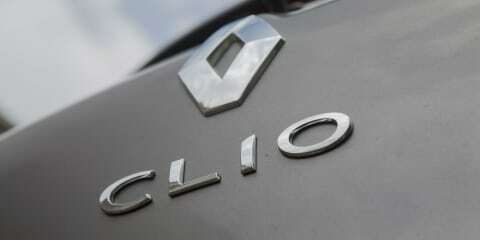 The Clio makes a class-benchmark 190Nm of torque when just 2000rpm is showing on the tachometer. The Polo isn’t far behind, developing a lesser 175Nm but produced whenever your foot goes down on the accelerator and the engine is revving between 1400rpm and 4000rpm. Compare those figures to the non-turbo models – the 2 only makes 141Nm specifically at 4000rpm, the Yaris the same figure but another 200rpm later, while the Jazz needs 4600rpm before its 145Nm shows up for business. What those figures should mean is that you’ll need to give the above trio a whole lot more stick to get them moving, and you’ll need to hear their engines working as you do. Accelerating from standstill, however, turbos need time to start twirling; think of them like windmills gathering pace when the wind increases. That’s exactly how it feels in the Renault when you try to get away from a set of traffic lights quickly. The six-speed dual-clutch automatic gearbox may share some of the blame, but through the throttle the Clio feels doughy and it can be slow to move. The Polo with its theoretically similar engine and transmission set-up – the latter a dual-clutch but with seven speeds – does a better job of whisking itself away from the lights. It might come as a surprise that those simply light rivals, the Mazda and Toyota, feel zippier again darting through urban streets. Both have accelerators that respond immediately to tiny inputs, though the dated four-speed automatic in the Yaris then sees its engine fall off a cliff when it shifts from first to second. By contrast the 2 automatic is the best here, having a broad spread of ratios thanks to its six gears and shifting back and forth intuitively to keep the engine on the ball. Honda goes its own way with an automatic continuously-variable transmission (CVT) that has no physical gears at all. Rather it works like a slider to move revs up and down to match your accelerator movement. Generally it works well, but it can share some of the dual-clutchers’ doughy behaviour off the line and it often forces the engine to rev hard. Beyond coming off the line from standstill, the turbocharged models come into their own, blitzing the field for everything from driveability to refinement to outright performance and economy. Having tested two Clio Expression automatics in the past, we’ve been disappointed by the ditzy behaviour of its dual-clutch. So it’s a revelation to find the Clio Dynamique is the only one available with two shift modes – Eco and normal. The latter is different to the Expression’s single mode, and it feels all the better for it, shifting quickly back through gears to keep the engine on the ball. We’ve also been disappointed by the low levels of grip offered by the Continental EcoContact tyres standard on the Expression. They’re standard on the Dynamique, too, though our test car came with optional ($750) 17-inch wheels with excellent Michelin Primacy 3 tyres. The prettier-looking alloy wheels are just a bonus, because the extra grip transforms the Clio’s behaviour without affecting its firm but beautifully judged ride quality. The light and incisive steering and brilliant handling are both the benchmark here. The Volkswagen counters with an engine that sounds more characterful and is quieter through all parts of the rev range, and it still has a quicker gearbox on the move – though you’ll need to select ‘S’ rather than eco-focussed ‘D’ for best results. Perched higher on flatter seats and with slightly heavier and more progressive steering, the Polo doesn’t feel as racy as the Clio. But it counters by being the quietest car here and the best-riding whatever the conditions. Volkswagen has switched from 55-aspect 15-inch tyres on the pre-facelifted Polo to taller 60-aspect tyres that should in theory help with ride comfort. They do, improving on what was already a comfortable car. Yet this is no boring hatchback between bends – the combination of soft-ish suspension and a powerful engine makes for an alert and involving car. Light hatchbacks are meant to be fun to drive, and you can be sure that wherever you’re driving them, the Renault and Volkswagen will be the most fun. The Mazda 2 used to be among the sharpest handling tools in the shed, but it would forget that it occasionally needs to keep its occupants comfortable. The new model generally rides smoothly, but on chubby tyres it is no more soothing than the grippier Clio. Its Dunlop Ecopia tyres also lack grip, the 2’s only real vice in what otherwise remains as enjoyable and well balanced as the front runners. The steering is less darty than the last generation, bringing a progressiveness to match (but not beat) the Europeans. The engine struggles to match the turbos, but the Sport mode of the auto is the sharpest here, further alleviating this engine/auto combination as the best of the non-turbo breed. These may be tagged ‘city cars’ but Australia is a big country and we often see little units well beyond the ’burbs. Escape city limits and the Mazda 2 is marginally more intrusive for road noise than the Honda Jazz, while the Toyota Yaris surprisingly even beats the Clio (which suffers wind noise and on our car a dash rattle) if not the Polo. The Japanese trio also suffer from more engine noise. The Yaris is the only car here to feel slow, thanks to the gaps between its gears, and it’s the only one here that lacks a fun-to-drive factor. Its ride around town is decent, it is best for forward and reverse-parking visibility, and its steering is heavily weighted, which is odd but at least hints at being up for sport. But it loses the plot beyond city limits, with little balance and suspension well below the others for control. Handling isn’t the main game for a light hatchback, but the difference to the others is stark. The Jazz has never been a dynamic star, but it sits flat and grips well, and is in another league to the Yaris. The Honda’s problems centre around loose steering and ride comfort that is poor. In an urban scenario, it feels squidgy over speed humps, and everywhere else it is jiggly and harsh. It’s clear that while the Honda is best capable of moving people, it doesn’t provide much finesse doing so. In the same way that rivals haven’t caught up with the superb packaging the Jazz pioneered a decade ago, Honda hasn’t moved beyond the driving expectations of 10 years prior, either. While the Polo claims to slurp 4.8 litres per 100 kilometres, and Clio 5.2L/100km, both delivered an identical, and still-excellent 5.4L/100km on our 350km mixed drive loop. But both require more expensive premium unleaded, where the others only need 10-cents-per-litre-cheaper regular. That leaves the Jazz (5.8L/100km claimed, 6.6L/100km on test), Mazda 2 (4.9L/100km claimed, 7.0L/100km on test) and hard-working Yaris (6.3L/100km claimed, 7.2L/100km on test) thirstier yet barely any more expensive to fill up a the pump. If you drive 15,000km annually, and with fuel prices at $1.40 per litre for regular unleaded, call it $300 saved each year going Polo or Clio over Yaris based on our figures. That’s money that could be recuperated with that other long-term cost: servicing. You’ll only need to visit your dealer once per year if you drive 15,000km in that timeframe in the Europeans. Particularly the Renault dismisses the myth that cars from the Continent are more expensive to service than Asian rivals, costing just $897 over three years or 45,000km. It also offers the group’s only five-year, unlimited kilometre warranty. It’s three year cover for the others, and the Volkswagen asks $1330 for servicing, too. Toyota and Honda ask for six-month or 10,000km servicing, which means more time at the dealership, but at least the Yaris costs only $780 over three years, or just $520 if 40,000km comes up first, versus $1358/$1052 for the Jazz – the highest here. The Mazda nudges the Polo and Jazz for cost depending on whether time or kilometres comes up first, and although it gets annual check-ups like the Europeans ($929 to three years) it has 10,000km intervals at a cost of $1320 if 40,000km comes up first. As is often the case, among these five newest contenders there is a light hatchback to suit every need. If simplicity is key, then the Toyota Yaris with its cheap servicing, zippy city performance and excellent visibility for parking will suit. But it also makes sense to keep things simple by choosing a cheaper grade, because at this level it falls out of its depth. The Honda Jazz isn’t as nice to drive around town as the Yaris, and we’re unsure why handling has been prioritised over comfort in what is otherwise a superb people carrier. If you need space and practicality, this is as ever your only choice in this segment, but again the cheaper model grades are more convincing. Some testers found the new Mazda 2 blends the fun of the Clio with the ergonomics of the Polo to be the surprising all-rounder, and along with offering great new technology and expected Japanese reliability it makes a strong case. If it’s singularly used in the city without rear passengers, choose it confidently. Likewise think carefully about picking the Renault Clio if rear passengers are frequent, because a lack of curtain airbags means reduced protection in the event of a side impact. It is otherwise much quieter than the Mazda, with better suspension and a punchier engine, offset by less technology and inferior ergonomics. Its cheaper servicing and longer warranty just pushes the Frenchie into second place here. The Volkswagen Polo, though, is convincingly the most complete light hatchback in this segment. Injected with technology from the Golf, and intuitive if not benchmark new infotainment, the German brand has addressed the flaws of the pre-facelift model while retaining the in-car and on-road attributes that have long placed it a class above.